All of Apple's 2019 iPhones are still in the engineering validation testing (EVT) phase, and so specifications could shift, cautioned Digit.in and well-known leak source OnLeaks. The company is thought to be targeting a September launch, as usual. No concrete reason for a triple-lens design was mentioned, but it's speculated that the feature aligns with reports Apple is pursuing a "time of flight" (TOF) system. This would allow depth maps based on the time it takes light to bounce back to a sensor, much like radar or sonar. The front-facing TrueDepth camera on the iPhone X, XS, and XR is dependent on a vertical-cavity surface-emitting laser, or VCSEL, which projects a grid of dots on a person's face. The technology is impractical for long distances though, and TOF can be more accurate. Depth maps from rear-facing cameras could expand the possibilities for augmented reality on iPhones and make autofocus shooting faster and more precise. 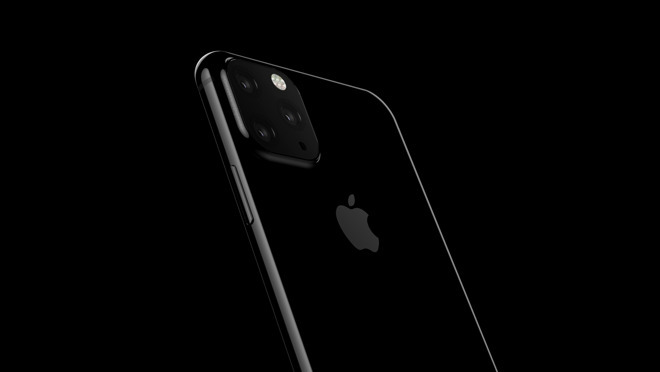 Cosmetically the OnLeaks render is likely not representative of Apple's ultimate plans, as the company prefers streamlined looks whenever possible. Additionally, it seems unlikely that Apple would sacrifice the internal volume where the third lens is located. If real, that thing better take some pretty damn good pictures. It is safe to assume this can be true based on phone industry moving toward multiple cameras system on back. 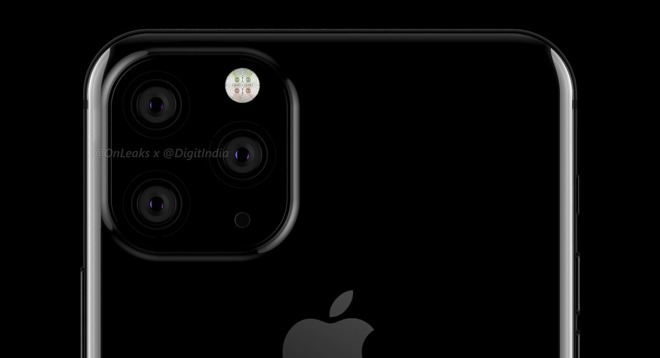 This means for 2019, what iPhone XS/MAX have will move to XR including dual cameras. What are they selling iPhone or cameras I only start to imagine The price of this new iPhone. That's some jacked up placement for the lenses and flash, no way it's going to look like that. It'd be cool if they could make it across the top in a way that the phone would sit flat but up at an angle ever so slightly to help Face ID out a bit when sitting on a table. Increasing the number of lenses is one thing, but I'm also curious to see what sort of further developments there will be in terms of computational photography (essentially what made the Google Pixel cameras so good). I'd prefer flush if possible, but what you mentioned might not be too bad. 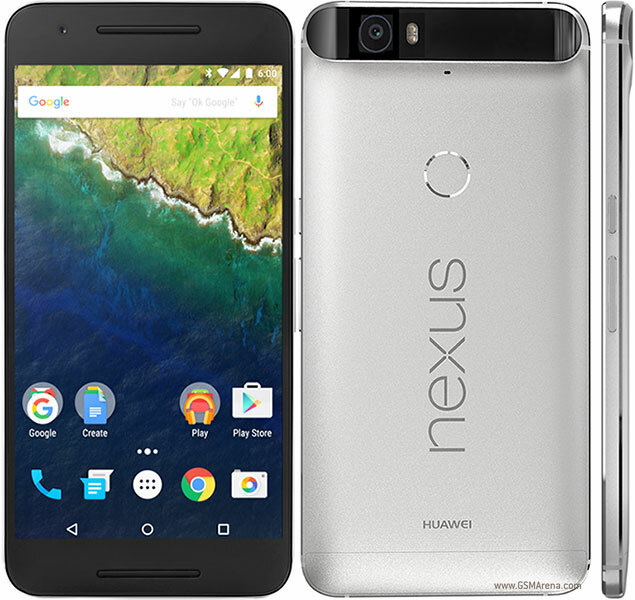 Kind of like the Nexus 6P, but with 2 additional lenses in the bump. 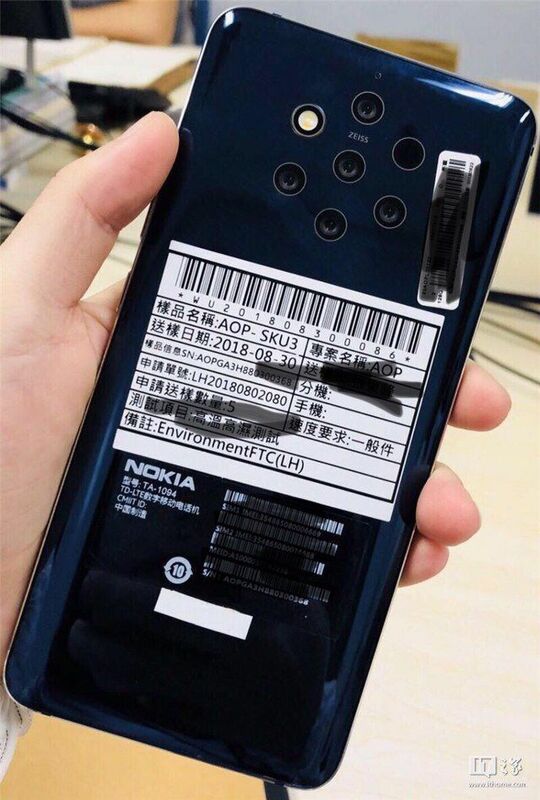 The camera will be Triple Optical+Flash? Oh, TOF, the article says. Huawei Mate 20 did it better. Couldn’t agree more. Also, stuff like this is probably incremental from a typical user’s standpoint. Regardless of how wide the 5G rollout is in 2019, I think Apple may have trouble getting people — especially X, Xs and Xs Max owners — excited about upgrading unless there’s 5G compatibility. This also creates a bit of a conundrum, since I understand Qualcomm owns a lot of the IP related to 5G. So a render that isn't indicative of what Apple might do is also at the same time suggestive of what Apple might do. Or in other words if this even close Apple needs to fire the design team. if thats real I'll cut off my foot and eat it for breakfast. I don't expect anybody with an X-series, XS-series iPhone to upgrade to this iPhone. How stupid would one have to be to make a purchasing decision about a ~$800 hand-held computer based not on features or specifications (yet unknown) but on the aesthetics of the back of the device? The bump is getting bigger and Leon is getting larger! They're heading to an insect eye of a lens, with a T3 processor to sort it all out. I've said too much. For the love of god, if Tim really force Jony to okay to a phone like this. I think he will just kill himself.